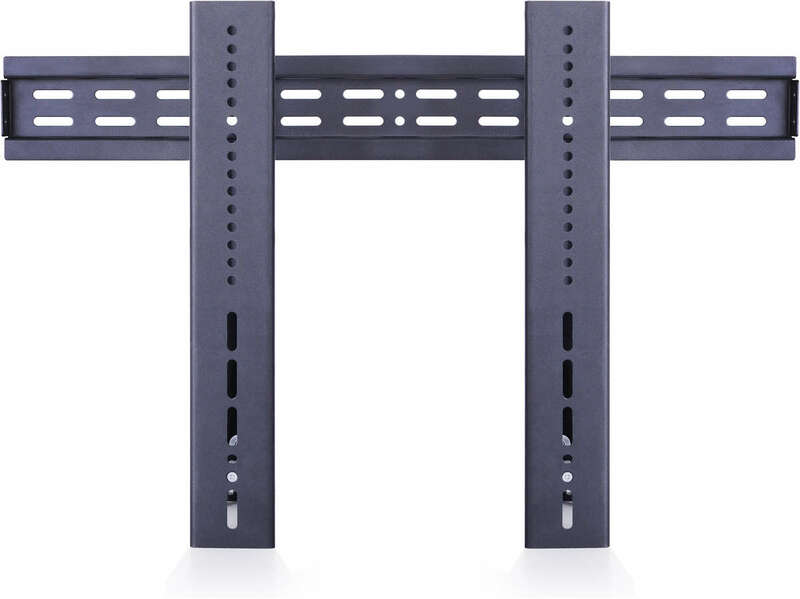 Multibrackets M Public Video Wall Mount Push - Wall mount for LCD / plasma panel - black & slate - screen size: 37" - 70"
Innovative design combined with a video wall mount partially pre-assembled right out of the box. 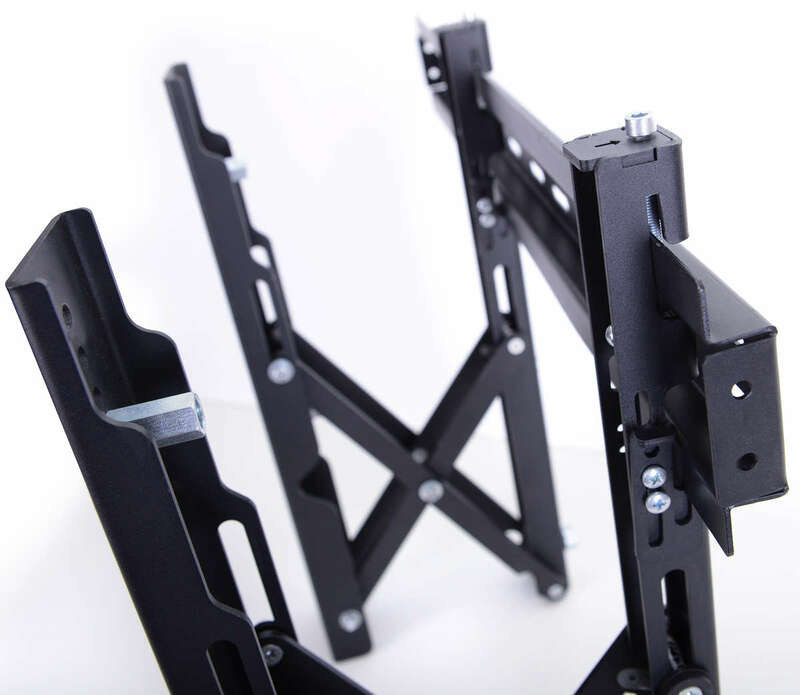 The M Public Video Wall Mount Push has been made especially for video wall applications. 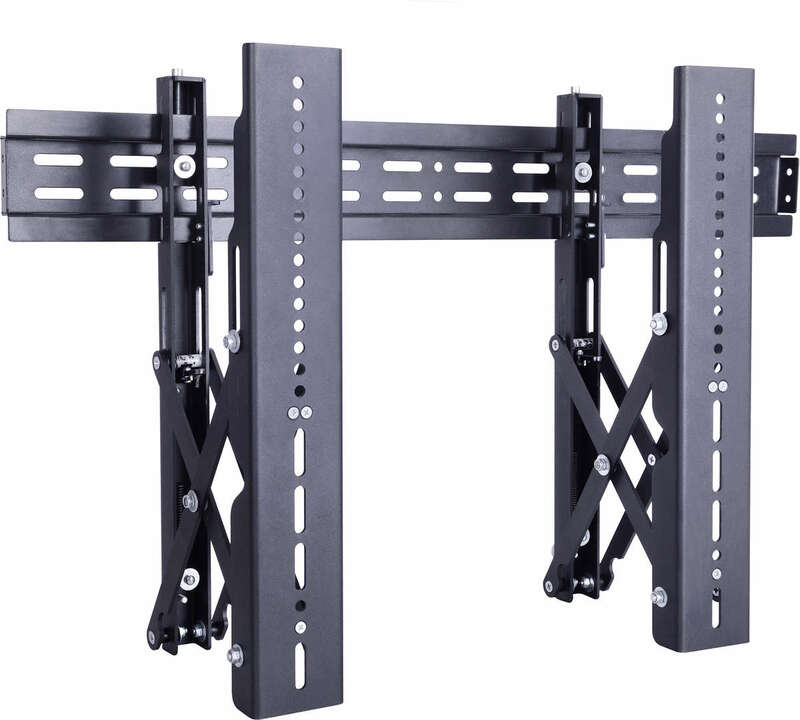 This is a professional mount focusing on multiple screen installations, easy and fast installation and simplified maintenance. Create multiple different configurations and screen set ups. The installation is built on the first rail installed onto the wall. The second is put up and levelled etc. No measuring and guessing needed. We think of it as one of the most simple and fast ways to make video wall installation come to life. The Push in pop out feature gives easy-access to any display for quick serviceability. 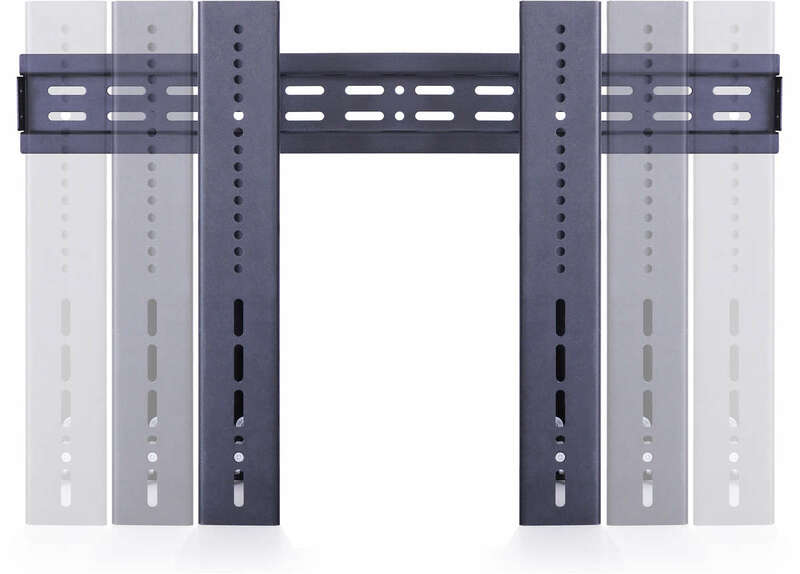 This is often one of the major functions needed when building a video wall mounting solution or when integrating a single screen into the wall. 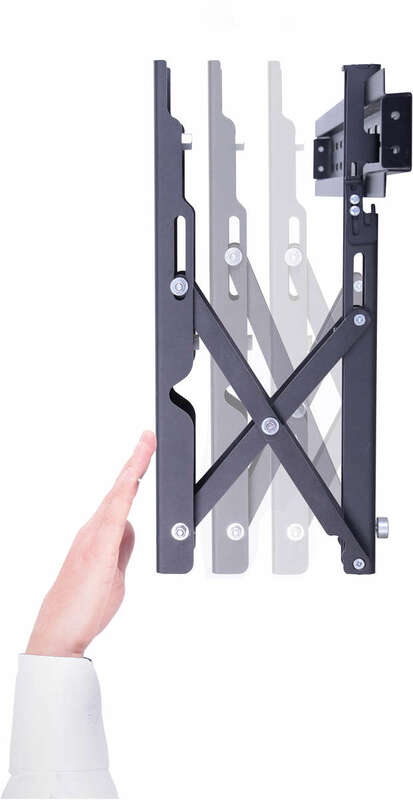 Simply push against the screen to release the lock, then the screen will pop out, you do not need to remove any other screens to access a center screen for maintenance or when placed in recessed areas. 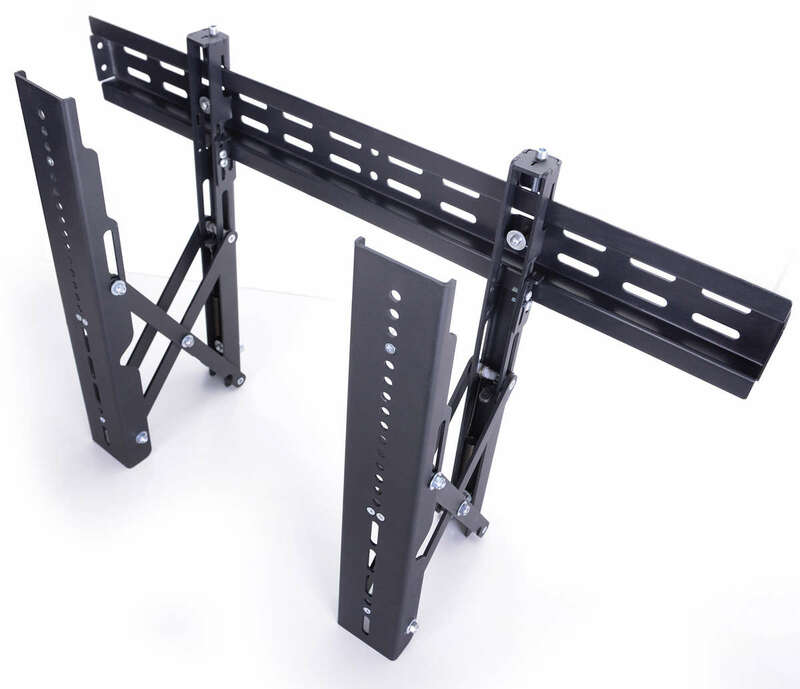 M Public Video Wall Mount Push is design protected by Multibrackets. The pop out feature is handled by its scissor arm construction expanding out. The screen is as easily pushed back into place after maintenance is finished.